I’m not even sure where these images come from; you know the ones where a section of ocean, yes ocean is absolutely covered in garbage, crap that is mostly plastic bags. It’s hard to watch, something so majestic as beautiful blue water completely engulfed in trash. 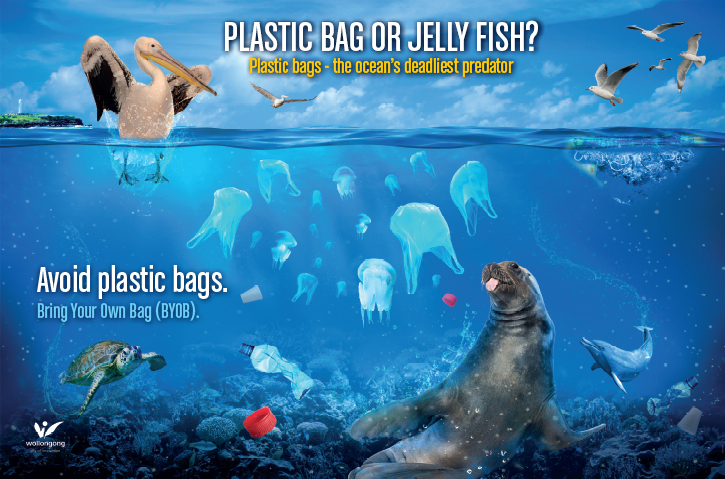 In fact Greenpeace estimates 50 million plastic bags end up just in Australia’s waterways each year, it’s downright sad. The topic of the environment and recycling has been around for years, decades even, but has mostly lived underground, its only been the last few years it’s morphed into the mainstream, with local councils providing an outlet through bin pick ups to make it more mainstream with the general public, recycling became hip. So now we arrive at the Coles/Woolworths plastic bag wars. 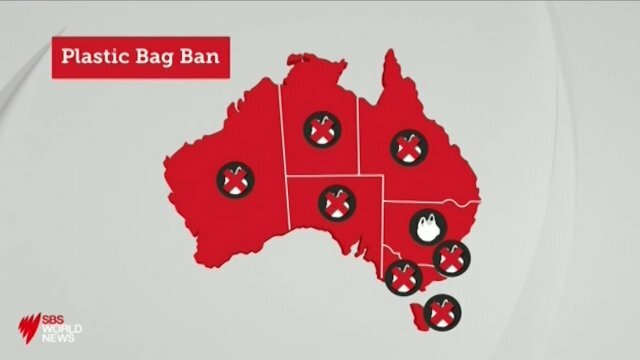 Stay with me here, Coles last month announced they were removing plastic bags from its checkouts after most State Governments in Australia had banned single use plastic bags. Well that created amongst the ‘we’ll complain about anything crowd’ a firestorm about having to pay 15 cents for a reusable bag, staff were getting abused, talk radio was aflame, Facebook erupted, and apparently physiotherapist visits were even up because people were fitting more groceries into ‘stronger’ plastic bags causing shoulder injuries, oh lord. Amongst this heat Coles caved in to the noisy minority a few days ago, waving the 15c fee for it’s thicker ‘reusable plastic bags’, the mob rule seemingly had won. 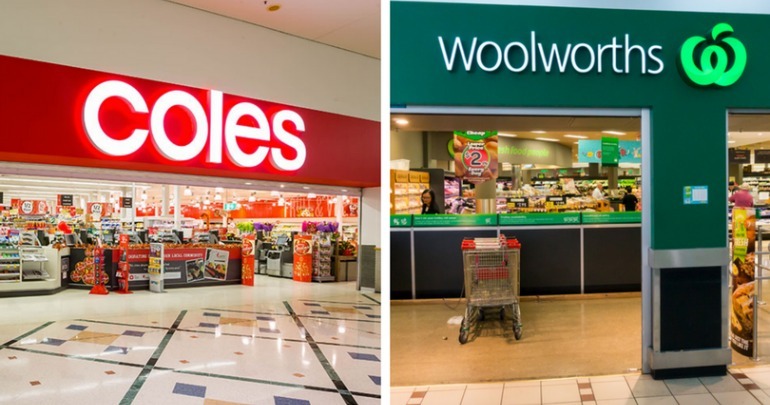 But wait, there’s another backflip, yesterday Coles announced that later this month they would start charging 15c again for its ‘thicker’ plastic bags. Confused yet? All the while Woolworths have stuck to the original 15c reusable plastic bags and haven’t wavered. In truth it’s all about money, corporate profits rule and if the two big supermarkets can steal customers from each other they’ll change policies in a second with the bottom line trumping ‘doing the right thing’ all day long on any issue. How about just ban all plastic bags in Supermarkets from August 31 you say? If we are talking about what’s best overall for the oceans and environment, why not force Supermarkets to sell heavy duty bags made from materials such as hemp, cotton, or Jute, well even those have their issues in terms of the impact on the environment but they are the better option. Either way this whole fiasco shows what public pressure can do to a corporate entity and how quickly they’ll backflip when customers go elsewhere. It also raises a bigger issue, responsibility, in this day and age responsibility is a dirty word, people want everything handed to them on a silver platter, forget to bring in your own bag to shop, sorry you’ve got to pay 15c for a plastic bag, ‘what the hell, where’s the manager’. My advice, find a local farmers market and take a hemp bag. Yeap it’s an absolute debacle this whole bag thing. The bloody things should be banned and all supermarket chains should comply. Customers will get used to it. Or starve. It’s your choice! Coles really look like idiots with this latest backflip! Yes love to see that, put full responsibility back on the customers, hell might freeze over before that happens, ‘responsibility’ is a dirty word these days.